After much deliberating and motivation from my family & close friends, especially Dr. Rob Quicke, I have decided to take a very large step and start a podcast entitled “At The Table With Tony”. For many years now, I have been active on all forms of social media. I have done my best to bring a taste of Italian-Americana to my friends and followers. I feel it is now time to step out of my comfort zone and bring my brand to a wider audience. 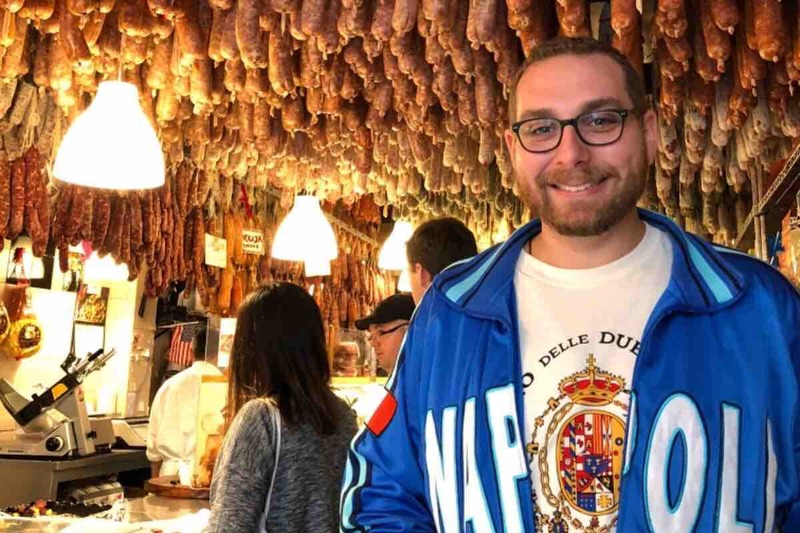 The goal of this podcast, in addition to being entertaining, is also a way of preserving the Italian-American culture, traditions, and of course, the food for future generations. As I’ve grown older, I have seen more and more businesses close and that breaks my heart. I understand the inevitability of some of these closures. However, it is my goal and my wish to preserve a taste of our heritage through this audio medium. I was also inspired by a project sponsored by the Library of Congress a number of years back in the early 1990s. A group of people through pictures and audio recordings profiled 21st Avenue in Paterson, New Jersey. This neighborhood was one of the three or four distinct “Little Italy” neighborhoods of Paterson. It was in the waning years of the neighborhoods strong Italian roots. The efforts of these people to preserve this taste of Paterson’s Little Italy was extremely motivating and commendable. It is my hope and ultimate goal to help to preserve some of these neighborhoods by documenting namely their food cultures and the people behind them. So, I am asking for your words of encouragement; and if possible a donation to help make this idea reality. I am hoping to raise enough funds to purchase the recording equipment to be able to start production on the podcast by the Summer; with the premiere episode in the early Fall. If I am able to raise the funds sooner, then I would like to move the time table up for production and the premiere. Thank you for your support. You have no idea how much it means. No donation is too small. Everyone who contributes will have their names listed at the end of the premiere episode. For donations of $40 and above, you will receive one (1) “At The Table with Tony” t-shirt. And your name will be listed at the end of the premiere episode. For donations of $500 and above, you and a guest will have the opportunity to spend the day “on location” during a recording of the podcast (travel not included). You will also receive two (2) “At The Table with Tony” t-shirts. For donations of $1000 and above, you or your company will be listed as a podcast sponsor for every episode of Season 1 of “At The Table with Tony”. Also, you and a guest will have the opportunity to spend the day “on location” during a taping of the podcast (travel not included). You will also receive four (4) “At The Table with Tony” t-shirts. With your help and support we can take this culinary journey together. Thank you very much. Here is the first teaser for my brand new project: “At The Table With Tony” Podcast. Each week, let us take this culinary journey through Italian-Americana together. We will visit the places, talk to the people, and eat the food that make many communities in this great country Italian-American. With your help & support, we will be able to bring this project to the masses. Thank you very much for your consideration.